We are echoing San Antonio Mayor Ron Nirenberg’s statement about preventing the breeding of mosquitoes. 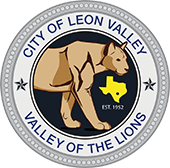 As we have both Huebner and Zarzamora Creeks running through our city, it is doubly important for Leon Valley residents to make every effort to dump out any stagnant water from abandoned plant pots, Vases, pet water bowls, flowerpot saucers, buckets, pool covers, birdbaths, trash cans, rain barrels. wheelbarrows, old tires, buckets, shovels, and anything else that can hold even the smallest amount of water and breed mosquitoes. In addition, there are numerous yards overgrown due to the immense amount of rain we received. Please cut your grass as soon as you can to also prevent the breeding of mosquitoes. The City will be aggressively spraying for mosquitoes this week and next to reduce the occurrence, but the spray won’t reach into all areas, so we need everyone’s assistance in this endeavor. Thank you in advance for your cooperation!